Ghalib El-Khalidi (born in 1977) is a Maui based Palestinian-American artist who works in the fields of sculpture, illustration, film/video, and writing. He has a BA in Theater & Design from Hampshire College, and a Masters in Fine Arts in Interdisciplinary Arts from Goddard College where he focused on science illustration, screen writing and gender studies. He is also a professional member of The Guild of Natural Science Illustrators. 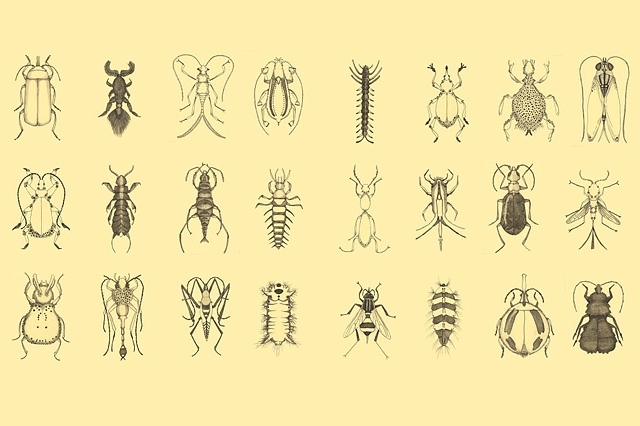 Ghalib is particularly interested in the fields of entomology, zoology, paleontology, anthropology and anthro-zoology (studying relationships between human and non-human animals). He is interested in creating art that is in the service of science, greatly appreciating the collaborative relationships between scientists and artists where knowledge is expanded and new discoveries are made. Currently Ghalib's research interests are focused on transhumanism and bio-ethics, exploring ways in which great human potential may be achieved using science and technology ethically, with a dedication to the preservation and protection of the planet and all it's inhabitants. He is especially interested in cognitive enhancement as a solution to humanity's problems. Ghalib is currently the sole member of the Vulcan Society, a philosophical movement that aims to live by logic, reason, and compassion.